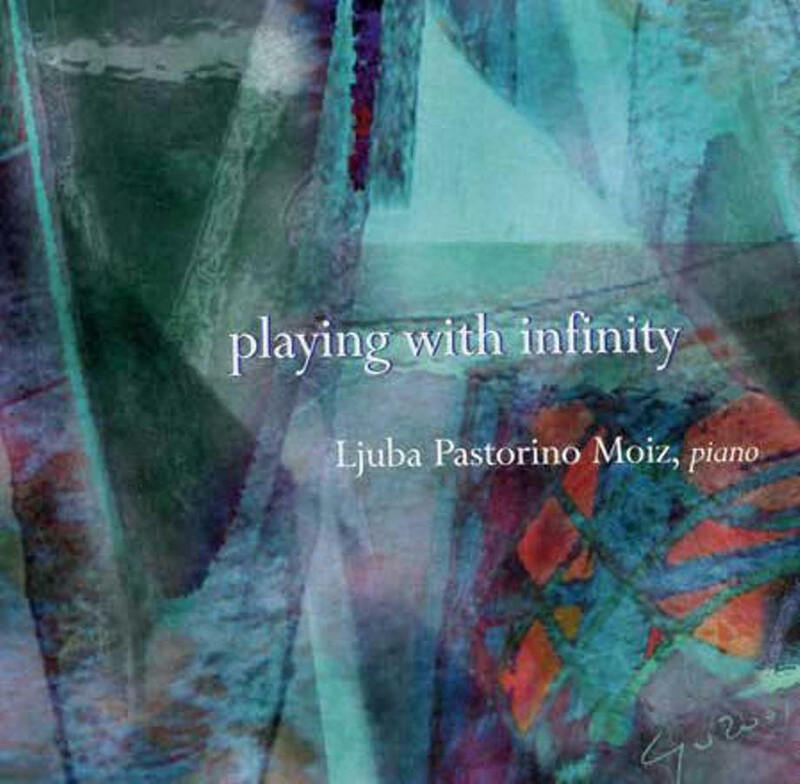 Ljuba Moiz is an extremely talented young pianist and she is intensely dedicated to the performance of 20th century music that she cultivates on the highest level. She has a wide repertory and deserves full attention and recognition for her outstanding achievements. I listened to an excellent CD: I found the mood and atmosphere very inspired and convincing. So were the Debussy and Bartok Pieces. I can recommend Ljuba Moiz with no reservation whatsoever and with the hope that she can prove herself successfully. 1 Leoš Janáček: " A Recollection"
11 Claude Debussy: " Images ", book II I. "Cloches à travers les feulles"
12 Claude Debussy: " Images ", book II II. "Et la lune descend sur le temple qui fut"
13 Claude Debussy: " Images ", book II III. 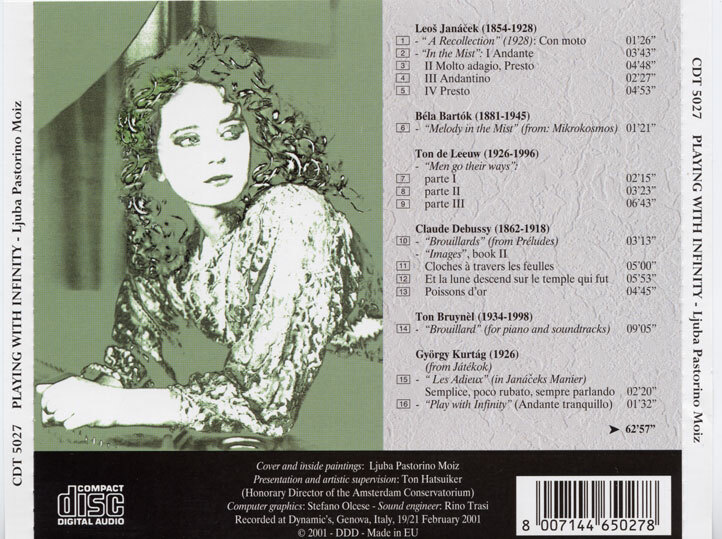 "Poissons d'or"
Ljuba Moiz is a young pianist who studied at the Conservatorium “Paganini” in Genoa and here dedicates this recording to the music of XXth century. It deals with pieces even very complex, just as those by Leos Janàcek, in his peculiarly aphoristic style, as well as some famous pieces by Debussy, from among we recommend “Cloches à travers les feuilles” and “Poisson d’or” for her great interpretative sensibility. But it is worth of a particular mention the interpretation of the pieces by two dutch composers, Ton de Leeuw and Ton Bruynel: especially the latter, with the combination of piano and soundtracks, which represents one of the most original and high moments of the performance of this remarkable pianist.